Gain a competitive edge in today’s challenging business environment by taking advantage of our web based client resource center. Customized to your needs there is an wealth of valuable information, on a wide and diverse variety of issues, that comes to you without having to sort through vast amounts of information on the internet or pay various vendors– all you have to do is search our concise database. Gain access to a library of over 1,000 downloadable articles in both English and Spanish. Contact us today to schedule a demo of our Accurate Protection Connect. Your Experience Mod drives the cost of your workers’ compensation program. Accurate Protection has powerful analytical tools to identify and analyze problem areas that are escalating your premiums. Our thorough analysis allows us to work with you to develop targeted solutions to save you money on both claims and premiums be developing strategies to control both the frequency and severity of claims. Accurate Protection has extensive resources needed for you to improve upon your current workplace safety program or develop a new one. Beyond the program development we also have a wide range of tools needed to promote safety awareness. From payroll stuffers, informational flyers and employee surveys to newsletters, audit forms as well as the information needed to run safety meetings. A well designed loss control program is an important cost control measure. Utilize our resources to help you minimize your losses and protect your bottom line. Accident prevention and a return to work program are essential to control your workers’ compensation costs and reduce losses. Utilize our resources for creating an effective return to work program. Return valued employees to work sooner, boost employee morale, discourage abuse and control costs. Accurate Protection delivers the strategies, tools and resources you need to assist with OSHA standards and requirements. In matters ranging from understanding OSHA regulations, preparing for an OSHA inspection to record keeping capabilities and relevant legislative updates we have the information you need. In your customized online resource center you will find an extensive library of cost containment and loss control tools, with a broad range of communications, including ready-to-use employee newsletters, posters and payroll stuffers. Within your online resource center you also have access to professionals from all over the country for knowledge sharing opportunities. There are key steps you can take for effective fraud prevention but the most important steps are strong internal controls. Utilize the resources we have at Accurate Protection to put the policies, procedures and activities in place to prevent fraud. Risk should be actively managed not simply insured. We work with you through our Accurate Protection 365 risk management process to identify and analyze exposures in your business operations. 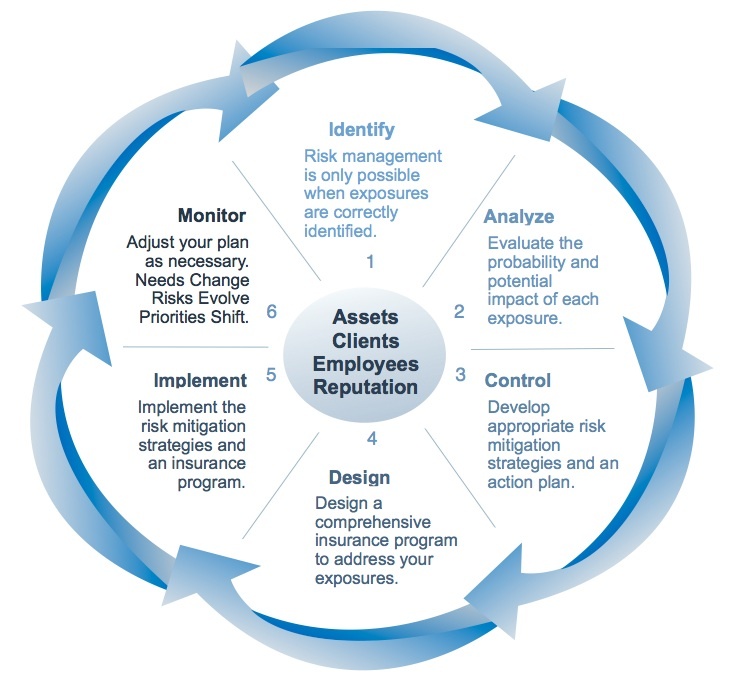 Based on this information we will help you establish and execute a risk management strategy tailored to your specific needs. Insurance coverage is only part of the risk management process, we have tools to implement risk reduction strategies for your business and we’re eager to share them with you. The risks you face do not stop and neither do our efforts to protect you and your business.